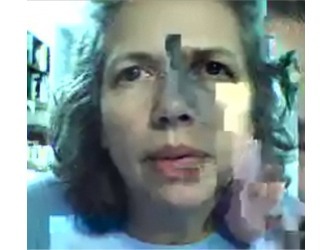 The way I understand a person changes when I see a representation of him or her, or when physical or geographical distances separate us. 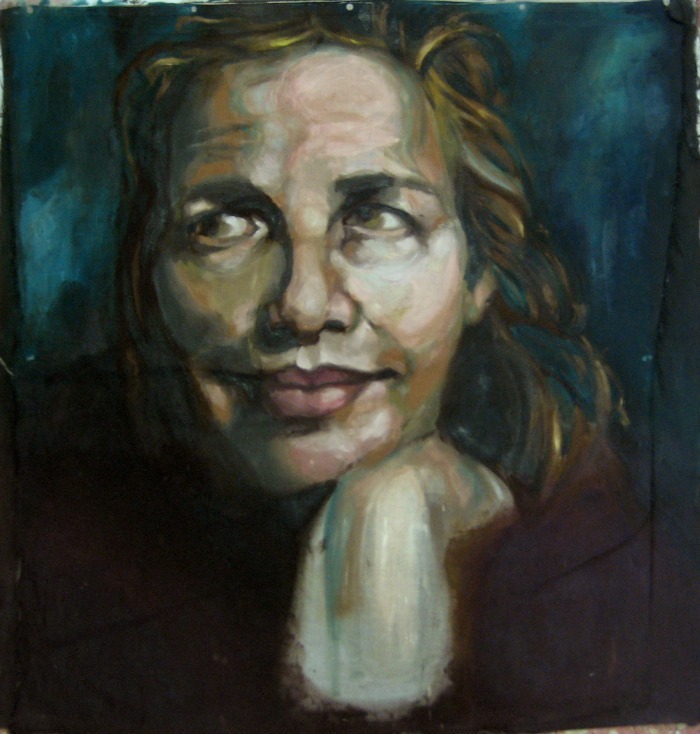 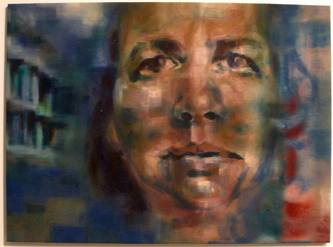 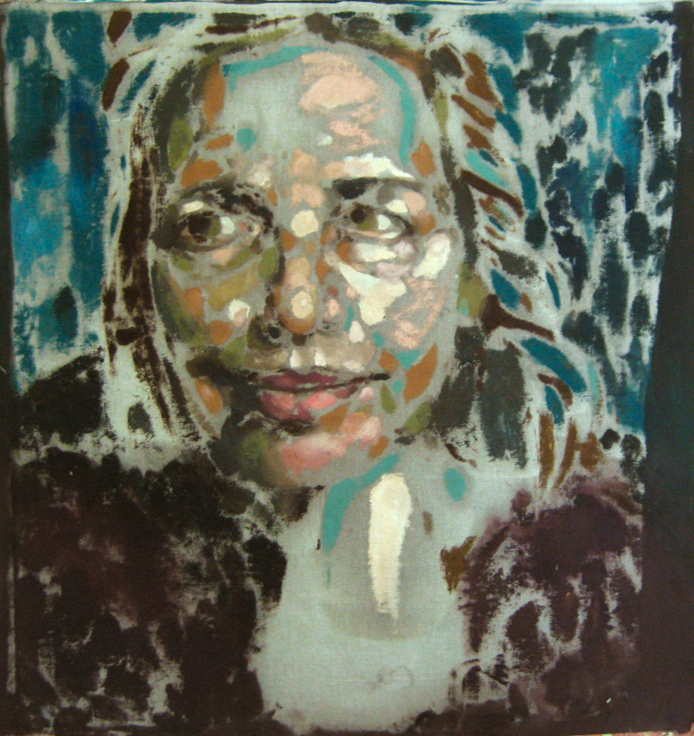 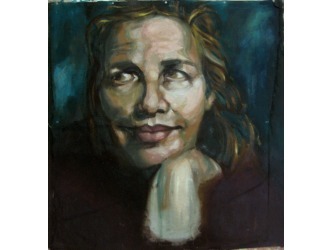 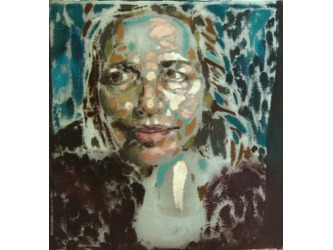 This portrait of my mother is one among many in which I explored how our relationship has changed. 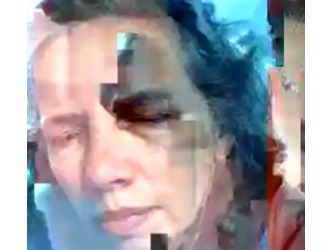 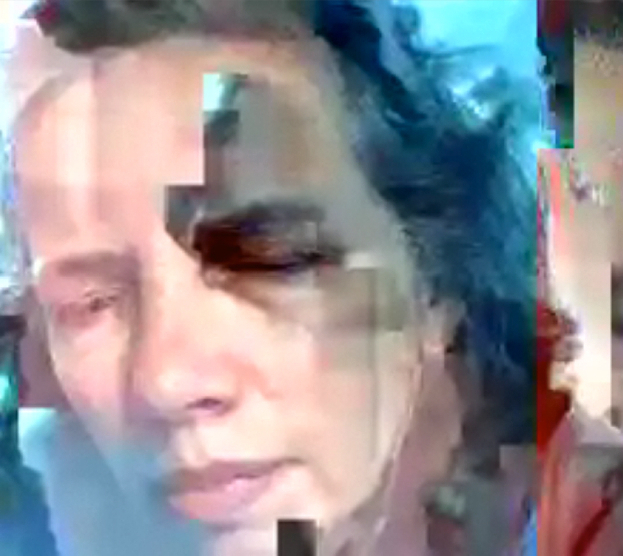 I worked from stills from the web camera she and I used, in our conversations when she was in New York and I was living in Barcelona. 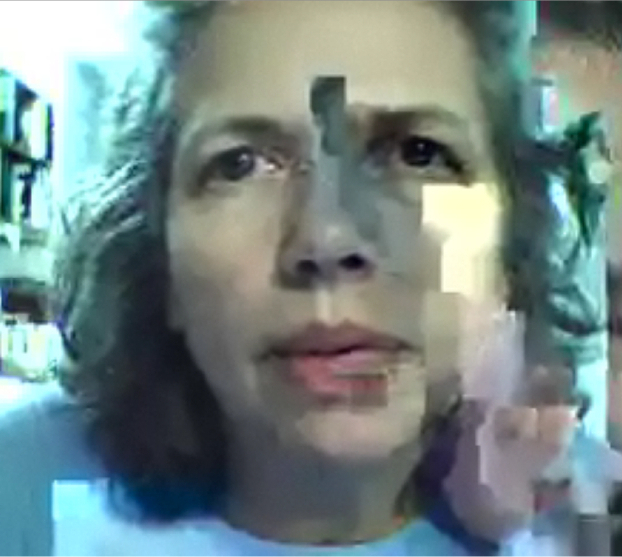 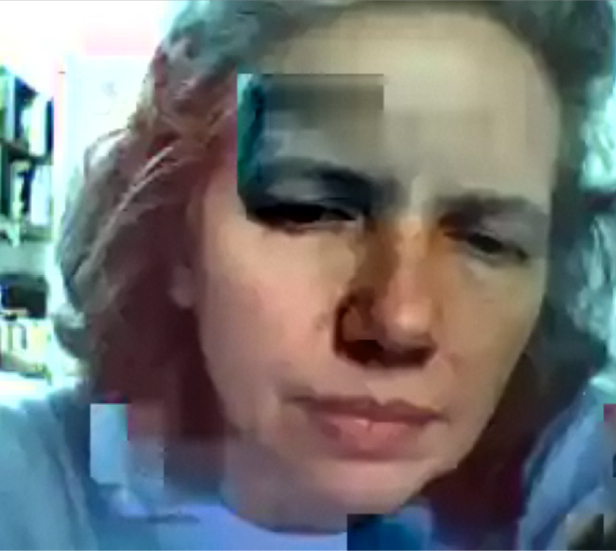 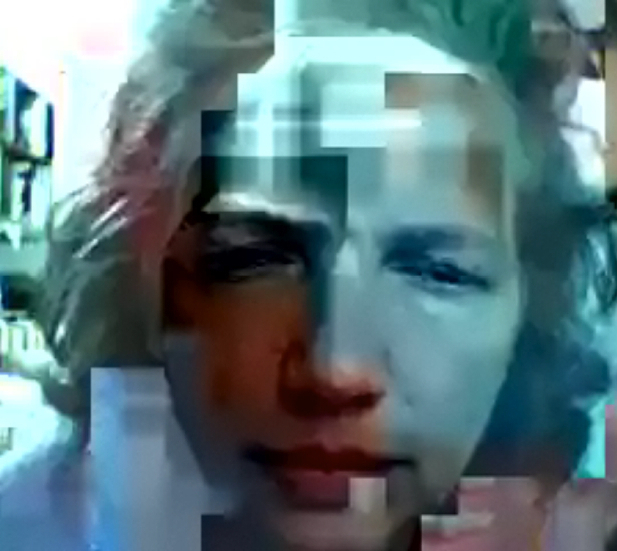 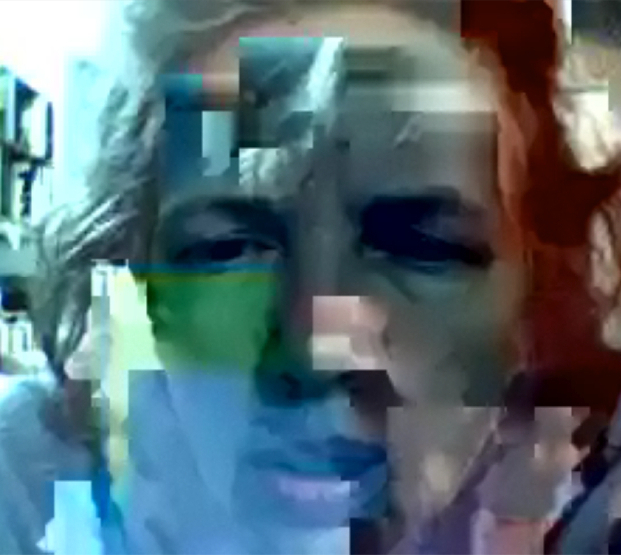 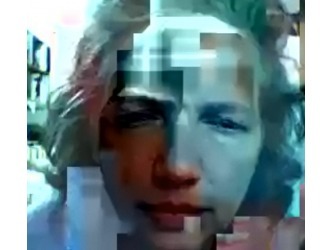 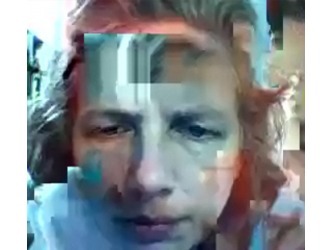 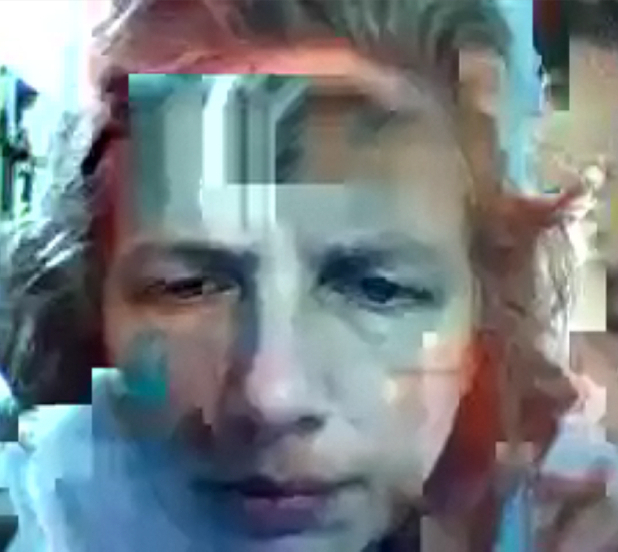 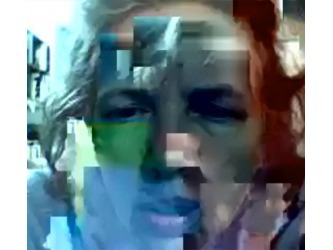 The contact we had through the computer was simultaneously intimate and distant. 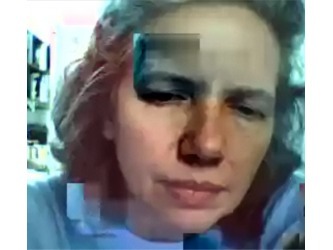 With today's growth of technology, with cameras and videos everywhere, we are changing the distance, speed, and manner in which we relate to one another. 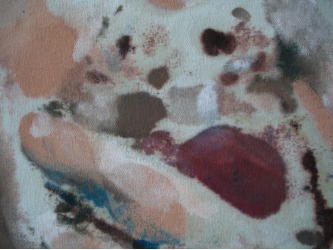 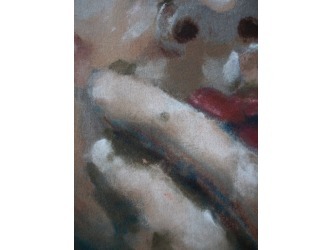 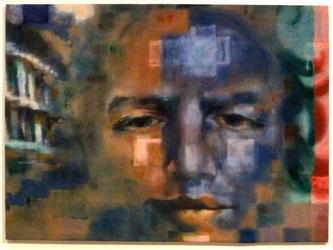 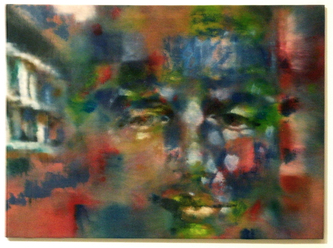 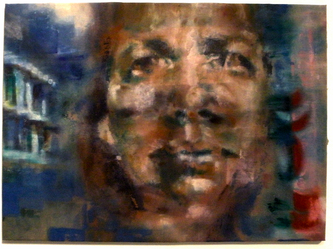 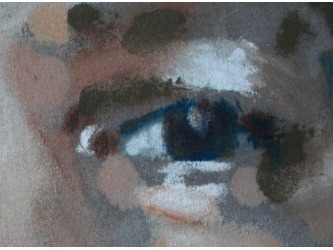 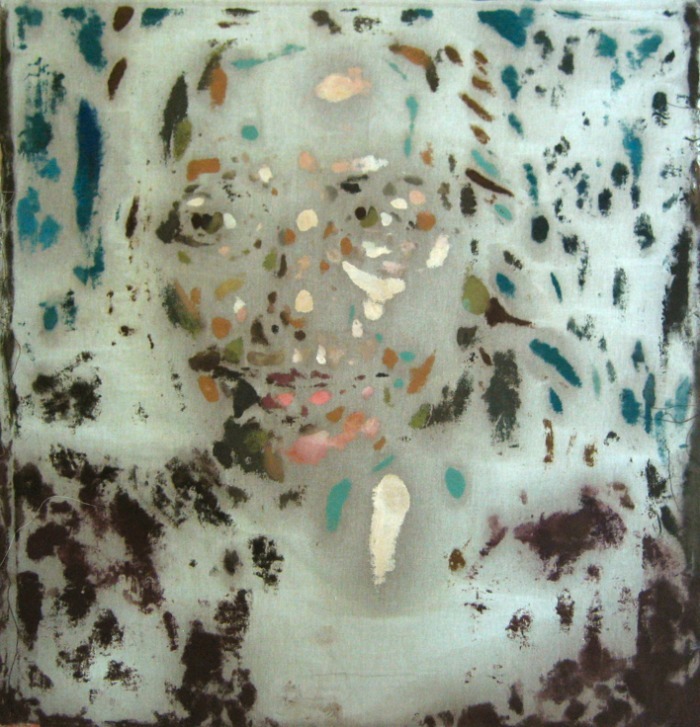 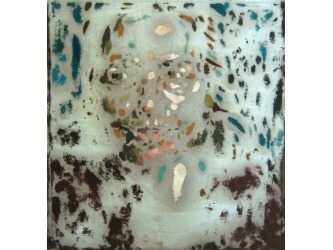 Although the painting may not bring to mind computer images, I want the texture of the paint – the blotches that don't cover the entire surface of the canvas – to let the viewer experience some disconnection between themselves and the person depicted (see detail above, the eye). 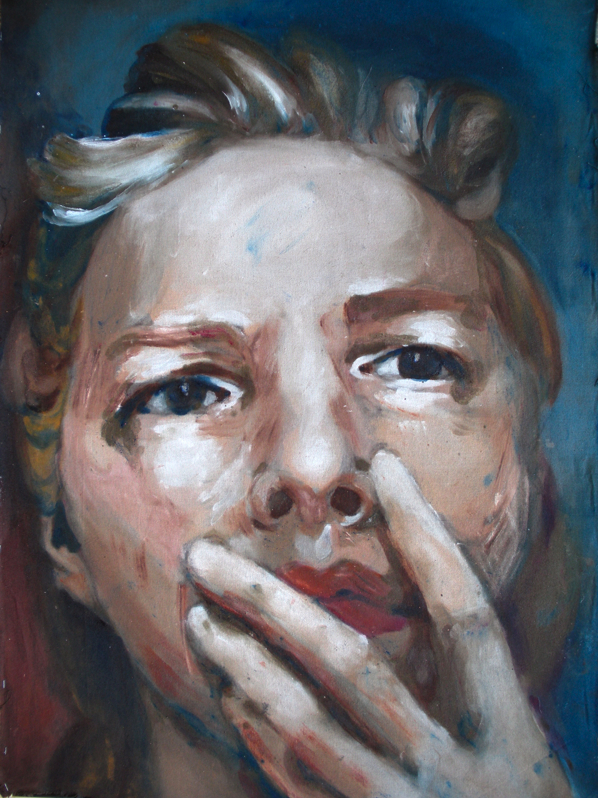 The particular expression of my mother, her gaze drifting to the side and her hand over her mouth, gives a view of a person who was unaware that she is being photographed. 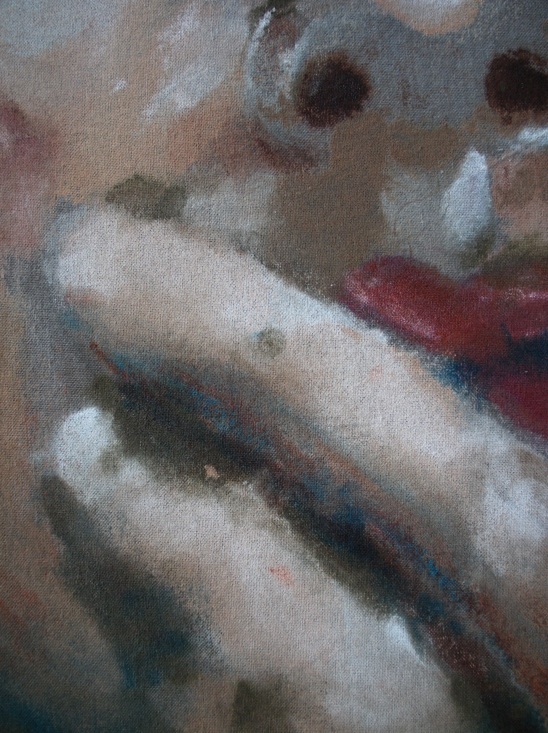 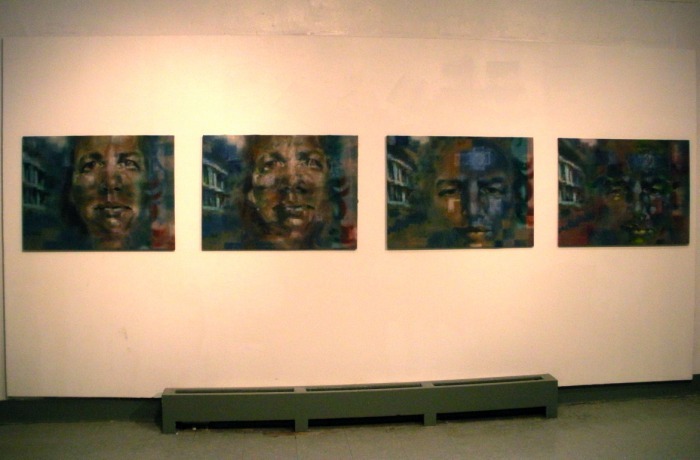 The painting preserves a moment from images that are presumed lost.